Sami’s Bakery ships items 4 times each week: Mondays, Tuesdays, Wednesdays, and Thursdays. Since we transport specifically from Florida, items being sent outside of Florida are dispatched on Mondays, Tuesdays, and Wednesdays Only (refer to the Fedex outline for shipment times). To guarantee your request will be sent on the next shipment day, please put in your request before 2pm ET. On the off chance that your request is set after the due date, it may not go out until a later date. NOTE: Any requests going to the West Drift (Idaho, Utah Colorado, New Mexico, Oregon, Nevada, Arizona, or California) must go as FEDEX 3-DAY EXPRESS SAVER and be set on Monday by twelve 12pm. 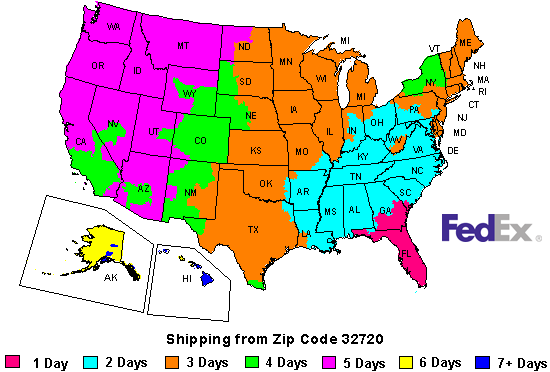 Any requests put as FEDEX GROUND to any of these states are not guaranteed to arrive fresh. 5+ days will usually be shipped out on Mondays. 4 days will usually be shipped out on Tuesdays. 3 days will usually be shipped out on Wednesdays. 1-2 days will usually be shipped out on Thursdays. Examples: If you are a 1 day shipping in Florida and you place an order on a Saturday, your order will usually be shipped out on the following Thursday for a Friday delivery.